Into the Peruvian desert: What is Nazca? Deep into Peru, about 400 kilometers from Lima, their capital city, these mysterious lines draw some strange figures in the desert. 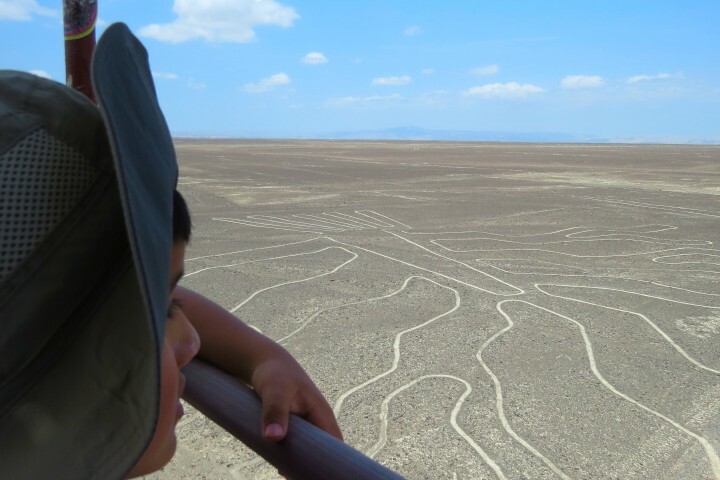 These are the Nazca Lines, and their mystery is a beautiful journey to make any time of the year. If you go there, make sure you’re ready to cross the desert, because they’re deep into the Ica Desert, and there isn’t anything but dunes and the lines. And an ancient city, but we will get there soon. The Nazca Lines – What do we know about the lines? According to Peruvian professionals of history, the Nazca Lines were made around the year 1547. Other investigations claim they were made somewhere between the year 1 and 700 AD. They are between 50 and 300 meters long, that is between 54 and 330 yards long; and since 1994 UNESCO declared them as Cultural Heritage of Humanity. And so far, only suppositions were made about their real purpose. The first supposition comes from Julio César Tello, a Peruvian archeologist who in 1929 described them as “sacred routs”, while in the same year, the American researcher Paul Kosok proposed that the lines were some sort of “astronomy book”. Another theory came years later, when Toribio Mexía Xesspe said they come from an ancient lost cult. One of the strongest theories so far comes from the German archeologist María Reiche Neumann, whose deep and extended research claims that the lines are a huge solar and lunar calendar, that used to point when it was going to rain and when it wasn’t, so they could harvest at the right moment. And finally, the strongest hypothesis comes from Italy’s National Research Council, in Rome. They observed the lines from satellites and discovered a correlation between the spirals in the drawings and underground deposits of water that the Nazca people would probably use to water their town, and their crops. And why are they shaped like animals or recognizable figures? Well, to thank their gods for the water. According to this theory, the drawings are only visible from the sky, and the sky is where their gods lived. The main drawings in the Nazca Lines are five, and they represent animals from the area. The monkey, which has nine fingers, its tail has a spiral form, and it is believed it represents Ursa Major, the constellation. The hummingbird, of 66 meters from one tip of its wings to the other. The spider, which is located in the limits of a trapezoid. The frigate bird, of around 160 meters long. Its head is made of lots of circles with ratios between 4 and 8 inches. The giant bird, the biggest one. It is more than 300 meters long, which would be longer than three football fields. In total, there are more than 300 figures drawn in the soil of the Ica Desert, but most tours only take you to see the 15 most important ones. Remember their sizes. If it took years for archeologists to find them all, don’t expect to see all of them in just one trip. So big is the mystery of these lines, that in the year 2017, 50 new drawings were discovered. Why weren’t those seen before, you may ask yourself. According to Luis Jaime Castillo Butters, one of the archeologists that made the discovery, the trace is so thin the human eye cannot detect it. The investigators used drones, and found these new images of soldiers, people and animals. There are a few options. You can use one of the tour buses that leave from Lima, Arequipa or Cusco. You can also ask for one of the planes that can fly you over the figures with experienced pilots. Of course, each journey you make comes first with a few kilometers ride of dunes and dunes. Ica Desert is enormous, and the lines are somewhere deep inside. Most tours start from the ruins of Cahuachi, the most recent discovery. It is an ancient city of about 2000 years old, and there is one big pyramid in it, so you don’t want to miss this. Then, the lines start to appear, one after the other. The whale, the astronaut, the monkey, the dog, the pelican, the condor, the spider, the hummingbird, the spiral, the hands, the tree, the Alcatraz, the parrot, the star, and it goes on and on. The astronaut, as you read, is one of the biggest mysteries. It is the figure of a man with big eyes over a rock. So far, no one’s been able to tell its meaning. The mystery is so big, and survived for so long, it is a thing you can’t miss. IF you love travelling, getting to know new cultures, changing the air a little or just see one of the few unsolved questions of humanity, this is in the same planet as you, so go. Besides, Peru has great food, good beers, interesting music and it people are so kind you will want to stay longer. Our advice is to give it a chance. Don’t forget to bring a camera, and enjoy watching the biggest drawings you’ll ever see.